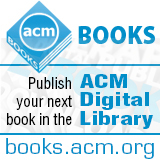 Welcome to the March 6, 2015 edition of ACM TechNews, providing timely information for IT professionals three times a week. Researchers at the University of California, Santa Barbara and Google this week reported they have made a significant advancement in the development of a functioning quantum computer. One of the persistent problems in developing a quantum computer is that data encoded into entangled qubits, the basic element of a quantum computer, often dissipates within microseconds. The Google and Santa Barbara researchers say they have overcome this obstacle with an error-correction system capable of stabilizing an array of nine qubits. The error-correction system consists of circuits featuring additional qubits that are used to observe the state of the computing qubits without altering them. The research suggests quantum-computing systems might become more stable as more qubits are interconnected in error-checking arrays, potentially opening the way for far larger quantum-computing arrays. However, the researchers caution they were only able to preserve qubits in their classical binary states, not the more complex quantum states that are necessary to fully unlock quantum computing's potential. They also note numerous other obstacles remain, although Massachusetts Institute of Technology physicist Scott Aaronson suggests this breakthrough represents about half the progress necessary to build a functional quantum computer. The U.S. Defense Advanced Research Projects Agency (DARPA) has chosen the 25 teams that will participate in the Robotics Challenge Finals, a test that will be much more difficult than those that came before it. The final challenge asks participants to build robots that can work somewhat autonomously in a disaster situation, and the three winners will split a $3.5- million prize. "DARPA tries hard things that have high risk and high rewards," says Gill Pratt, program manager for the challenge. "This is one of the most difficult parts of the contest." As part of the final challenge, robots will need to drive up to a simulated disaster area, get out of the vehicle on their own, and enter a building while avoiding debris and rough terrain. Once inside, they must turn a valve and hook up wires, use tools to cut a hole through a wall, and then climb a set of stairs to get out of the building. The teams get points for every task completed and will be judged on how fast they accomplish them. "The diverse participation indicates not only a general interest in robotics, but also the priority many governments are placing on furthering robotic technology," Pratt says. Researchers at Saarland and Carnegie Mellon universities working on the iSkin project are studying the potential use of the human body as a touch-sensitive surface for controlling mobile devices. The researchers developed flexible stickers made of silicone rubber with pressure-sensitive sensors that adhere to the skin. The researchers note the touch-input stickers can be manufactured in a variety of shapes, sizes, and personalized designs. Depending on the type of skin sticker used, applying pressure to the sticker could, for example, answer an incoming call or adjust the volume of a music player. Users can design their iSkin patches on a computer beforehand to suit their individual tastes. "A simple graphics program is all you need," says Saarland Ph.D. student Martin Weigel. He notes the silicon-based sensors are flexible and stretchable, which he says makes them easier to use in an everyday environment. The iSkin stickers currently are connected via cable to a computer system, but Saarland's Jurgen Steimle says in the future embedded microchips may enable the sensor patches to communicate wirelessly with other mobile devices. The researchers will present the iSkin project at the ACM SIGCHI conference in Seoul, Korea in April. A paper on their research won the conference's "Best Paper Award." In an interview, Jackie Kern, general chair of the SC15 conference, shares her agenda for the year and plans for the convention, which will be held in Austin, TX, Nov. 15-20. Kern's agenda is themed "HPC Transforms," and she explains, "it takes a deeper dive into how HPC is transforming people's lives." It also captures how high-performance computing (HPC) is becoming increasingly democratized and available to all. Kern says this year's conference will focus on leading-edge topics such as exascale computing, but it also will touch on architecture, networks, and cloud computing. Another major part of the agenda is reaching out to traditionally underrepresented groups to help bolster attendance. Kern is hoping to attract 11,000 attendees to the conference. Student recruitment also is being streamlined, with all of the state programs being combined into one in an effort to "even out" the application process. In addition, a mentor-protege component is being introduced. Kern notes the conference also is making funding opportunities available to some students to help them afford the trip. To publicize the conference, SC15 has launched a blog (http://sc15blog.blogspot.com/) and newsletter featuring news about the future of the SC conference series. Artificial intelligence (AI) researchers want to develop more comprehensive exams to test their systems. For example, Facebook wants to create a digital assistant that can participate in a real dialogue with humans, and the company has created 20 tasks, which get progressively harder, to test the system. Any potential AI system must pass all of them if it is to develop true intelligence, according to the Facebook researchers. Each task involves short descriptions followed by some questions, with the harder examples including determining whether one object could fit inside another, or why a person might act a certain way. "We wanted tasks that any human who can read can answer," says Facebook researcher Jason Weston. The researchers used the exam to test several algorithms, and found none received a perfect score. Allen Institute for Artificial Intelligence researcher Peter Clark says this type of testing is problematic because the AI does not need to understand to which real-world objects the words relate. Facebook wants to use the AI technology to help filter news feeds. "People have a limited amount of time to spend on Facebook, so we have to curate that somehow," says Facebook AI research director Yann LeCun. "For that you need to understand content and you need to understand people." A paper by researchers at the University of Bristol describes their use of big data analytics to understand and characterize the media coverage of the 2012 U.S. presidential election. Academics from the university's Intelligent Systems Laboratory (ISL) analyzed more than 130,000 online news articles using a big data system featuring new methods that are richer than traditional word-association networks. The researchers used a semantic graph that linked a given text to identified noun phrases and verbs, using the resulting subject-verb-object triplets as the basis for a word-association network. The researchers note this method has never been used with such a large real-world dataset, and employing it enabled them to show, for example, that Democrats presented a more united front on policy issues, while Republicans were divided on several issues. "Mapping the full electoral campaign coverage by offline and online media is a very difficult challenge, given the large amount of data and the large number of sources available in advanced democracies," says ISL's Saatviga Sudhahar. "We believe that the methodology used for the study is a big step forward in the linguistic analysis of texts by using extracted relational data and could help us understand major events." Michigan State University (MSU) researchers are using the principles of Darwinian evolution in several different projects, which are all part of a larger effort to create more advanced robotic brains. "Previous attempts to design human-like intelligence have failed because we don't understand how our own brains work," says MSU computational biologist Chris Adami. "But we know how evolution works and we can speed it up inside of a computer." The researchers use genetic algorithms operating on a mathematical framework called Markov networks to model a large population of robot brains focused on a particular task. The brains that perform the task best have the largest number of simulated offspring. The researchers then run the genetic algorithm over hundreds of thousands of generations, and download the surviving brains into robots that execute the tasks in the outside world. "When robots have to make models of other robots' brains, they are thinking about thinking," Adami says. "We believe this is the onset of consciousness." He believes thinking robots will be very useful to human populations and they should not be feared. "When our robots are 'born,' they will have a brain that has the capacity to learn, but only has instincts," Adami says. "It will take a decade or two of exploration and training for these robots to achieve human-level intelligence, just as is the case with us." University of Illinois at Urbana-Champaign researchers have been studying ways of superimposing physical reality onto a virtual reality experience, with the goal of finding a way to enable users to interact with real physical objects while they remain immersed in a virtual world. The researchers first modified a virtual reality headset with a pair of cameras that produce a stereo view of the real world in front of the headset. They then developed four ways of superimposing the images onto the virtual world for the task of picking up and drinking from a cup, while remaining immersed. The first method superimposes the user's hand and the cup onto the virtual world, and the second method includes the outlines of nearby real objects to provide a context for any hand movements. The third method creates a window in the center of the view showing the real world, which obscures the virtual world. The final method is similar to a picture-in-picture view of the real world in the bottom right-hand corner of the virtual world. During testing, the researchers found most volunteers preferred the second method, which showed the context of any hand movement by superimposing the edges of other salient objects. Young children can use a new program to teach a humanoid robot how to write letters and improve their writing skills at the same time, with the robot serving in the role of a peer who needs to be taught. Swiss Federal Institute of Technology (EPFL) researchers presented their teaching tool, called CoWriter, this week at the ACM/IEEE International Conference on Human-Robot Interaction in Portland, OR. Scientists developed progressive writing algorithms and implemented them on a small robot designed to be likable and interact with children. Using a vast database of handwriting examples, the robot can clumsily draw words on demand, reproducing common errors made by children, and then gradually improve. The system was well received during testing with children on the technical aspects of the technology, but now the team is looking to study the benefits of the program. EPFL's Computer-Human Interaction Lab in Learning and Instruction and Learning Algorithms and Systems Laboratory collaborated on the project. A European Union project has devised a better way to use limited radio bandwidth in a more efficient manner for mobile communication technology. The DUPLO project presented the full-duplex radio transmission concept at the recent Mobile World Congress in Barcelona, Spain. A standalone multiband electrical-balance duplexer was presented as a viable alternative to fixed-frequency surface-acoustic wave filters, which currently are widely used in mobile phones. The technology enables the same carrier frequency to simultaneously be used for data transmission and reception, enabling more data to travel within the same radio bandwidth. "Our solution paves the way to integrated reconfigurable multiband front-end modules for frequency division duplexing in next-generation mobile phones," says IMEC researcher Joris Van Driessche. Among the challenges the project team faced was self-interference caused by transmitting and receiving on the same bandwidth. Technical solutions were studied and developed in order to enable full-duplex transmission to function in a variety of wireless communications networks, including mobile devices. A proof-of-concept test platform then was set up to combine the technical solutions into a functional full-duplex communication system. U.S. Defense Advanced Research Project Agency (DARPA) researchers in April will review a program to help develop the "technical means to protect the private and proprietary information of individuals and enterprises." DARPA says the sheer volume of data currently makes it infeasible for individuals or enterprises to control it with existing information technologies. A recent U.S. Federal Trade Commission (FTC) report estimated the volume of data generated by a small number of devices alone is staggering, with one finding that fewer than 10,000 households using an Internet of Things (IoT) home-automation product can produce 150 million discrete data points daily or about one data point every six seconds per household. "The IoT presents a variety of potential security risks that could be exploited to harm consumers by: enabling unauthorized access and misuse of personal information; facilitating attacks on other systems; and creating risks to personal safety," the FTC says. "Privacy risks...could undermine the consumer confidence necessary for the technologies to meet their full potential, and may result in less widespread adoption." Another effort is IBM's planned offering of Identity Mixer, a technology that uses a cryptographic algorithm to encrypt a user's certified identity attributes, shielding privacy and enhancing security. The city of Chicago, the Argonne National Laboratory, and the University of Chicago are working together to develop the "Array of Things," a network of sensors deployed around the city that can monitor a wide range of data. The first set of 17 sensors being deployed, which are contained in a box about the size of a briefcase, includes sensors that measure temperature, humidity, light, carbon monoxide, nitrogen dioxide, and vibration. The boxes also include a sound sensor and an infrared camera that can analyze surface temperatures. "We developed a remote-sensing platform that is designed for sensors or cameras in locations where you can't easily get back there to fix things, so they have to be self-healing and very autonomous," says Argonne researcher Charlie Catlett. "With the movement toward smart cities, a lot of research groups and companies will want to experiment with urban-scale technology where you need to deploy something." He says the researchers hope to make the boxes smaller, more intelligent, and solar-powered. The Array of Things project eventually plans to include apps that use data captured by the sensors to alert users to areas with traffic congestion, pedestrian traffic, or icy patches on sidewalks. The U.S. National Institute of Standards and Technology (NIST) has awarded $20 million to a team including the National Center for Supercomputing Applications (NCSA) to develop computer tools to help local governments prepare for extreme weather and recover quickly in the aftermath of natural hazards. The tools will help communities improve decision-making and make the best use of resources. NIST has reached a cooperative agreement with Colorado State University to establish the Community Resilience Center of Excellence. The center will bring NIST researchers and partners from 10 other universities together to develop the tools. The centerpiece of the project will be the NIST-Community Resilience Modeling Environment (NIST-CORE). NIST-CORE, which will be developed at NCSA, will be based on the Ergo software, developed at NCSA for hazard assessment, response, and planning. "This center complements NIST's long-standing efforts to improve the performance of the built environment against natural hazards--such as tornadoes, coastal flooding, wildfires, and earthquakes--as well as large-scale, human-caused disruptions," says acting NIST director Willie May. "The tools developed by the center will help to further advance the important goal of disaster resilience from ambitious concepts to cost-effective solutions that communities can implement over time."